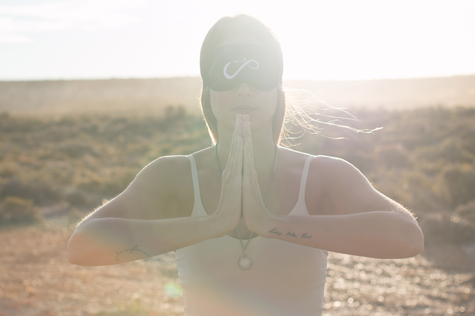 From the Sanskrit word antastha - “the deepest“ Antastha Yoga gradually brings you to that deepest place within you. 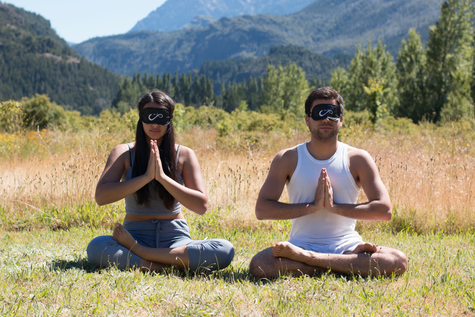 Using a blindfold in each of its series at one point Antastha Yoga takes away all the distractions of daily life during your practice and encourages you to focus on your inner space, on pratyahara, the withdrawal of the senses. This experience of connecting to your body from within creates a silence, which empowers physical healing and development while the mind reaches a deep peace. Founded by Sanjeev Bhanot the carefully created Antastha Yoga series stimulate the central nervous system, develop your inner strength and flexibility, and regenerate you by activating your life-force. Antastha Yoga helps you therefore mentally to manage the challenges of meditation and to understand and use the body mind connection for yourself. Physically it increases your flexibility, lowers your blood pressure, reduces stress hormones, improves your joints and muscle toning as well as digestion and sleep, regulates your cardiovascular and hormone system and increases your general energy level. Supported through Sanjeev´s remarkable and precise hands-on adjustments you are unlocking positions and unexplored potential within your body. By working after the principle of highest efficiency by least effort Antastha Yoga offers you the maximum therapeutical effect of yoga. Furthermore you experience a richer way of expressing yourself and living your potential.